Rose rosette (witches’ broom) symptoms were first observed in 1940 in Canada on wild roses. Subsequently symptomatic plants were discovered in California in 1941 and many other states in the U.S. In 2011, the disease was confirmed to be caused by an Emaravirus. The virus was named Rose Rosette Virus (RRV). RRV is vectored by an Eriophyid mite (Phyllocoptes fructiphilus). 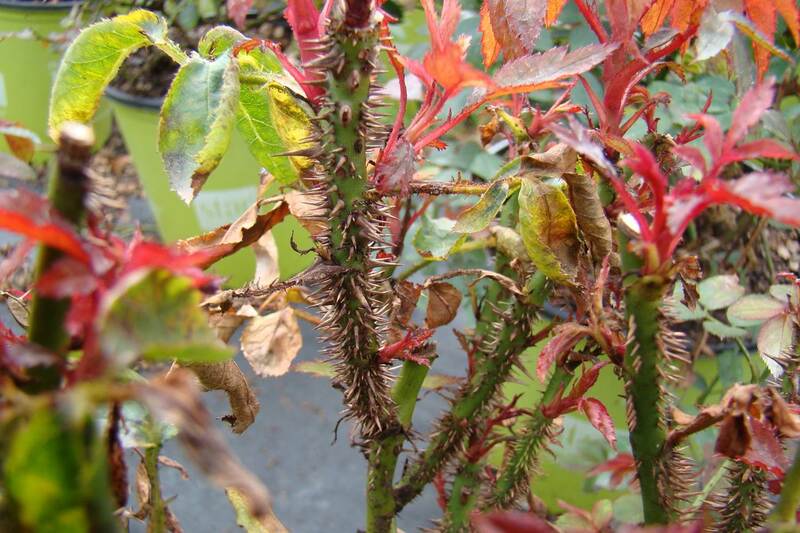 Rose multiflora (multiflora rose) is the most susceptible host for RRV. The disease and the presence of RRV was confirmed for the first time in Florida in November 2013 by the Plant Disease Diagnostic Lab, NFREC, Quincy. This was subsequently confirmed by the Division of Plant Industry-FDACS lab in Gainesville. All the infected plants belonged to the Knock Out® series. Three counties have confirmed cases of RRV as of Jan 15th, 2014. 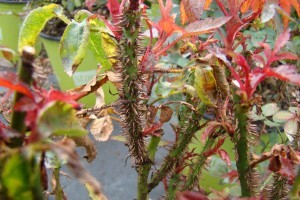 ABOVE: Severe thorn proliferation is characteristic to rose rosette disease. Learn more about symptoms and how to respond with this UF/IFAS Pest Alert document. 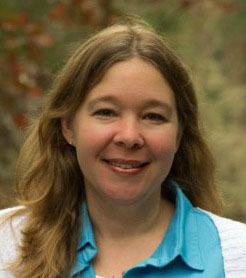 If suspected plants are noted, send close-up pictures to Dr. Paret (paret@ufl.edu). Upon instructions submit a sample for diagnosis. ← Now on Featured Creatures! Two new Spanish translations.